Dramatic behaviour often goes unnoticed because to our eyes it happens so slowly. But if time is compressed and you shift persepective to the plant's point of view, their world comes spectacularly to life. The events in a woodland like this one, can build to a view of half a year in less than a minute. 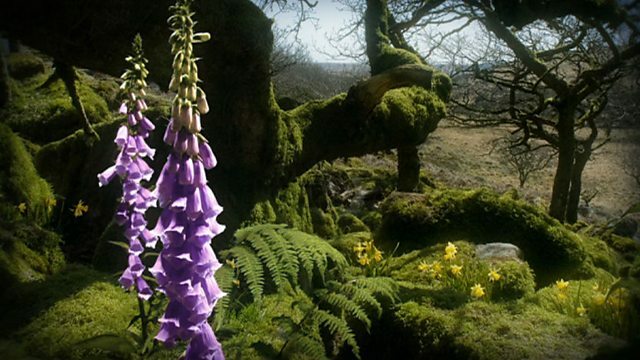 Tracking timelapse shows the woodland bursting into life. Watch more time lapse video clips from the BBC archive. A collection of clips showing the best in timelapse nature films. Discover the wildlife of the Life series.